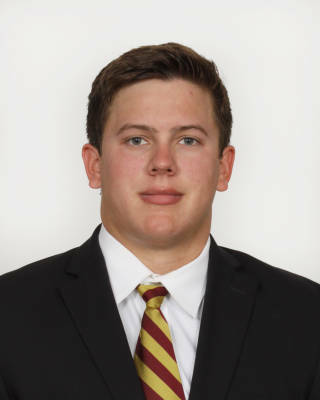 Appeared in all 13 games at long snapper on punts, field goals and PATs… contributed to sophomore kicker Ricky Aguayo’s success, as he landed 18-21 field goals with a long of 51 … contributed to sophomore kicker Ricky Aguayo landing 11 straight field goals that spanned four games … assisted with the development of sophomore punter Logan Tyler as he finished fourth in the ACC in punting. Continued to serve as the long snapper for a third-consecutive season, helping freshman punter Logan Tyler throughout the season…also snapped to freshman kicker Ricky Aguayo, who was 6-for-6 and set the national record for field goals in a game by a freshman in his first career game against Ole Miss…assisted on a tackle against Miami. Served as the long snapper all season on punts, field goals and PATs…contributed to Cason Beatty’s career season that saw the Seminole punter finish the year with a career-best and ACC leading 45.2 yards per punt – a mark that ranked 12th nationally…helped Roberto Aguayo go 49-for-49 on extra point attempts and 21-for-26 in field goals en route to first team All-American honors in 2015…finished with three tackles as a member of FSU’s special teams unit…two tackles came at Georgia Tech and one came at No. 10 Florida…served as the long snapper for Beatty and Aguayo in each of the last two seasons. Had an outstanding true freshman season as the long snapper for the Seminoles where he handled every punt, field goal and PAT…did not have an errant snap lead to a blocked punt or a blocked field goal…snapped for Roberto Aguayo, who was a perfect 55 of 55 on extra points and made 27 of 30 field goals, en route to 136 points and consensus All-American honors…helped punter Cason Beatty average 41.0 yards per punt. Enrolled at Florida State in January 2014 and participated in spring practice…consensus two-star recruit…ranked the third-best long snapper in the nation by ESPN in the 2014 recruiting class…rated a five-star long snapper and the nation’s fourth-best by Kohls Kicking, which specializes in special teams recruiting…won a 5A state championship in 2012 and helped lead Godby to a 10-2 record and a playoff appearance in 2013…PrepStar Magazine All-Southeast Region…father Steve started at defensive tackle for four years at Florida State from 1985-88 before playing in the NFL with the Philadelphia Eagles and Green Bay Packers…born July 1, 1996…majoring in social science.